Which is why we are the premier dance holiday company in the UK. 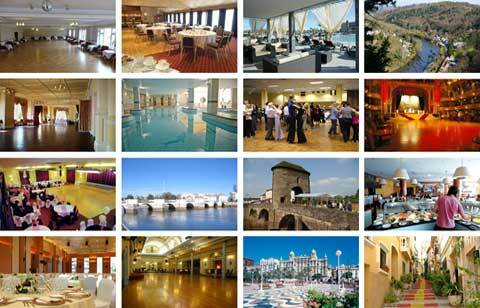 We look forward to welcoming you to a dance holiday soon. Accounts are created when you make a booking. 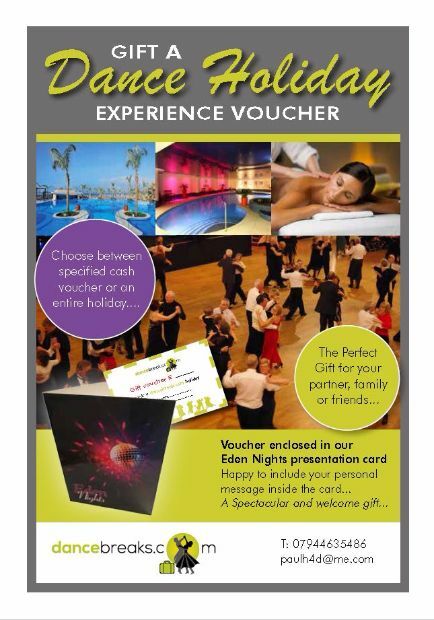 The perfect Gift for your partner, family or friends..
Voucher enclosed in our Eden Nights presentation card. Happy to include your personal message inside the card…. 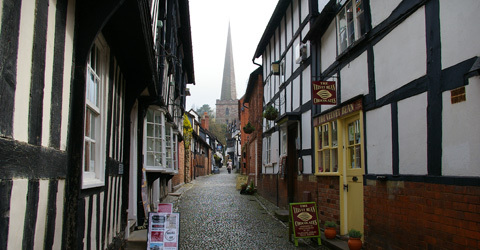 Or you can fill out the form and we will contact you to discuss your requirements. We have special events to celebrate things like New Years Eve and Valentines day. 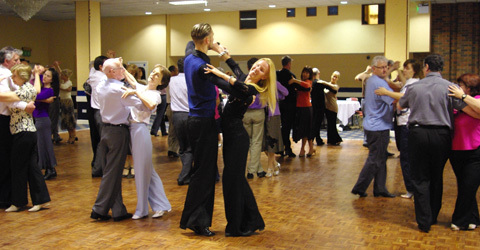 We also run our own Ballroom Dance Festival. We now offer experience vouchers for either a cash value or an entire holiday enclosed in our Eden Nights presentation card. Please fill out the form and we will contact you to discuss your requirements. 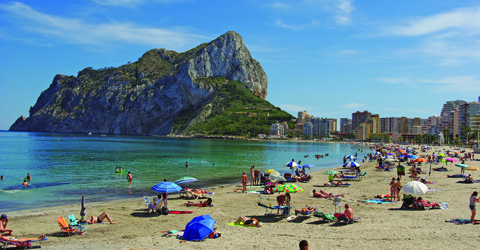 We have launched a new Facebook page Dance Breaks Holidays. Please visit our page and ‘Like’ it. 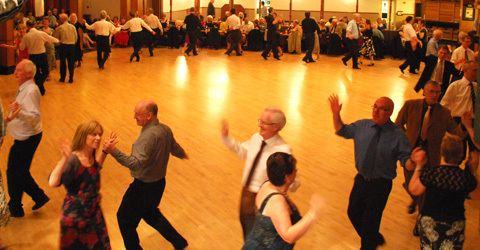 Whenever you join us for a dance break, you can be certain your ballroom dance floor will be spacious, and with a quality finish. 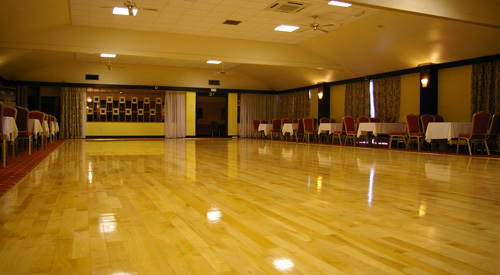 All our floors are wooden or laminate ( even our continental ballroom floors – we never use hotels with marble floors) and we give our partner hotels ‘guidance’ on how to look after the floor to keep the finish in tip top ‘dancing’ condition. 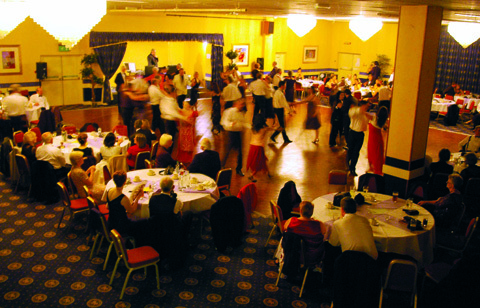 Without doubt the most superior ballroom floor we dance on is at the Wessex hotel in Street Somerset. 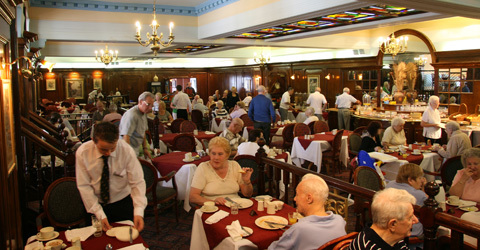 The room used to be used as the hotel restaurant and for the previous forty years, the floor was covered with carpet until the current owners purchased the hotel and had a peek under the carpet to find a beautiful ballroom floor. A few years ago we showed them how to prepare, varnish and seal the floor and it has been untouched since which leaves possibly the best surface we dance on. Moreover, whilst the floor is not sprung, being under the carpet for so long the floor naturally ‘gives’ underfoot and creates a wonderful non tiring experience. 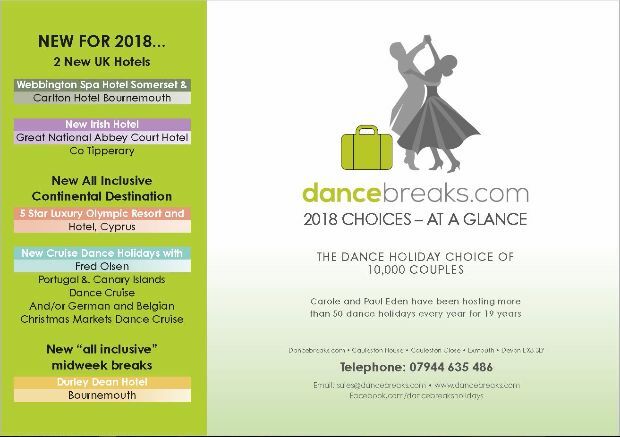 But wherever you dance with us you can be sure we have sourced the largest and best ballroom floors currently available in the Uk for our holidays. Where tuition is available on any particular holiday, we give you the option not to participate for a small discount. 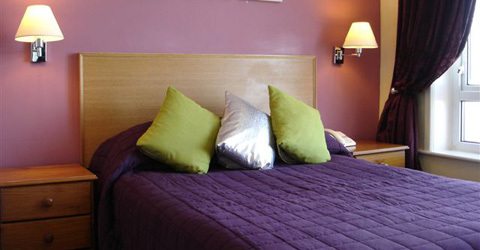 Just indicate your choice on the booking form or select the appropriate on-line booking option. 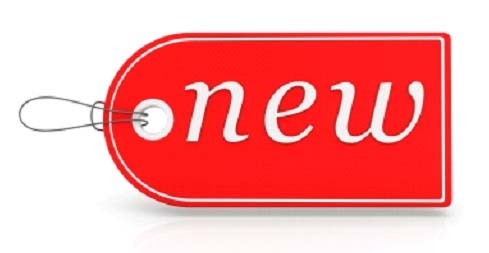 You deserve commendation for the new catalogue – much easier to read and search thru and the pull out list of all the events is very useful.